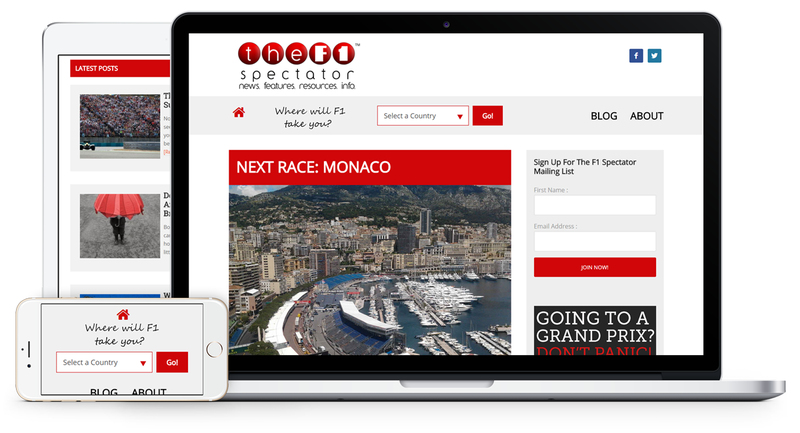 The F1 Spectator project involved coding of a custom Genesis theme from the provided design. Specific inner pages feature content in the form of responsive tabbed layout. Header navigation has drop down box for quick navigation to specific page. Work: Custom Genesis Theme Development, Responsive Code, HTML5 code, Tabbed Inner pages, Social Icons, Email Newsletter.